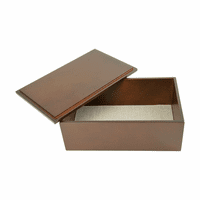 FEATURES/SPECS This personalized keepsake box has a spacious, velvet lined interior that is almost two inches deep and six inches wide and long. 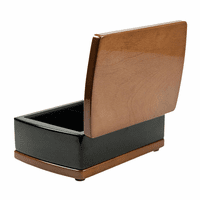 Its large enought to hold plenty of photographs, notes or desk accessories. 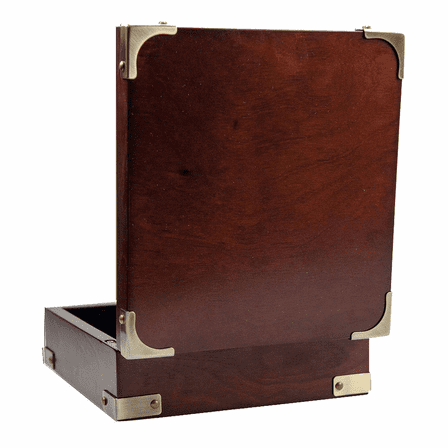 The outside has a rosewood finish with sharp looking brass covered corners. A felt lined bottom keeps your precious countertops safe. 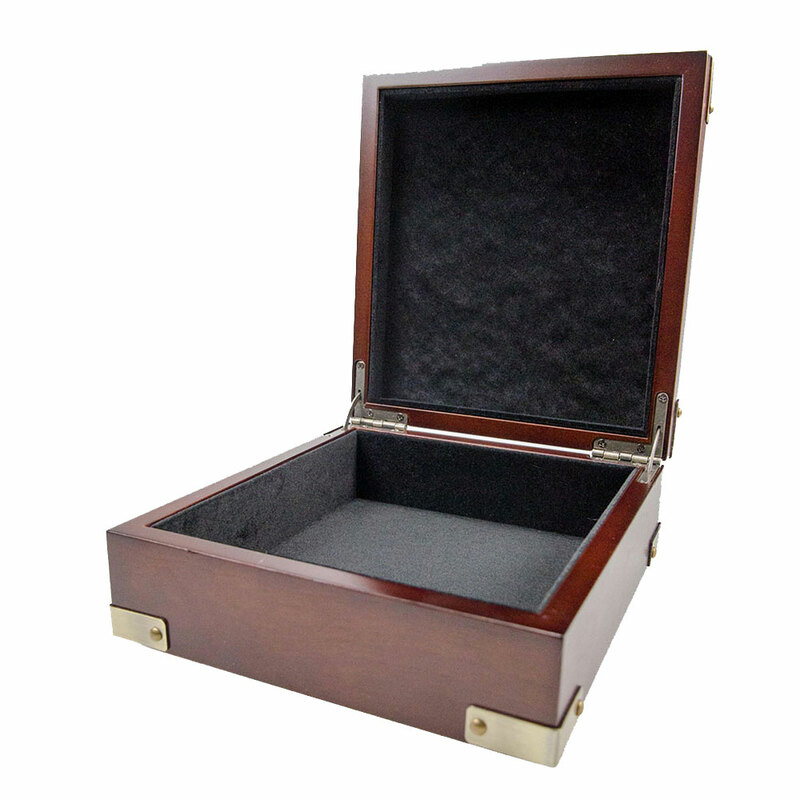 Have the lid of this wood keepsake chest laser engraved with a name or message free of charge for a one of a kind personalized gift. It comes packaged in a gift box, ready to presented to someone special. Dimensions: 6 7/8" x 6 3/8" x 2 1/2"
What is the inside dimensions of the box? 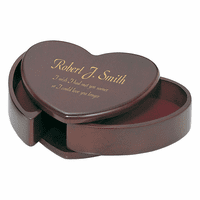 The inside dimensions of this box are: 5 3/4" x 5 1/4" x 1 1/2"
How big is the personalized image?? We would use our best judgement to create a proof for your approval after your order is placed. We email the proof and you can either approve it or request changes. I liked the box but it was a lot smaller than I thought it would be! I was looking for a unique gift for my brother and I found this keepsake box. I'm glad I did! The engraving came out beautiful and made a completely unique gift he loved. 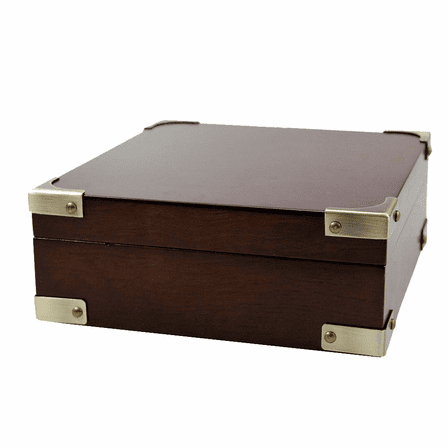 The box is great too, heavy weight to it and I love the brass corners. This gift box arrived quickly. It was great quality and my husband doesn't know what he likes best, the gift or the box it came in.